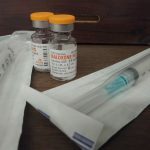 As part of a local effort to combat the opioid epidemic, Mac Emergency Medical Services (Mac EMS) will offer six trainings on the use of the overdose-reversing drug naloxone throughout the month of April. The trainings are available to all members of the campus community and will teach pupils to operate a naloxone syringe effectively in an emergency situation. Naloxone, commonly referred to by the brand name Narcan, has been in circulation for over 40 years and has become a staple of first-aid trainings as opioid overdoses have become more common. According to the Center for Disease Control and Prevention, the number of non-medical personnel in the U.S. trained to use naloxone has increased 187 percent since 2010. Mac EMS leader Clara Motiño ’19 said there has already been an overwhelming amount of campus interest in learning to safely administer the drug. 2. Narcan. Good to go from print. Photo in the photo drive from this week narcan.jpg Caption. Motiño spearheaded the effort to bring naloxone training to the general campus population. With support from history professor Amy Sullivan and Valhalla Place, a Minnesota-based drug treatment organization that provides naloxone kits, she founded the training program and is distributing the naloxone herself. As a result of Motiño and Sullivan’s efforts, Valhalla Place recognizes Macalester as the top school for overdose preparedness in the state. Despite this, naloxone trainings are not yet school-sanctioned. “I’m a little disappointed that the school isn’t doing more to fund available Narcan on campus,” Motiño said. “One of the main goals of what I’ve been doing is trying to get these kits into all of the AEDs [Automated External Defibrillators] on campus. I’ve hit a bit of a brick wall with that. Motiño believes that the stigma associated with opioid use may make providing Narcan less appealing to the institution. 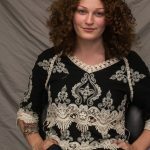 Both she and Sullivan are working to overcome that stigma on campus. Sullivan’s class “Uses and Abuses” deals with the issue head-on. Because the trainings aren’t school-sponsored, Motiño has trained most of the Security Office and Health and Wellness Center (HWC) staff, as well as all members of Mac EMS, herself. Since the 2019–2020 school year has already been fully budgeted, Macalester would need to wait another year until a department can ask for funding for greater access to Narcan. At that point, it will be up to the HWC to call for additional financial support. Motiño hopes the cross-campus support for naloxone training will push the administration to fund its availability, as well as expand future educational efforts. “I would hope long-term on an academic side that the school would realize that there is a need for education,” Motiño said. “I wasn’t expecting over 200 people to be interested… and I think that should mean something to the school. Sullivan believes Macalester has a unique opportunity to be a national leader in overdose prevention.